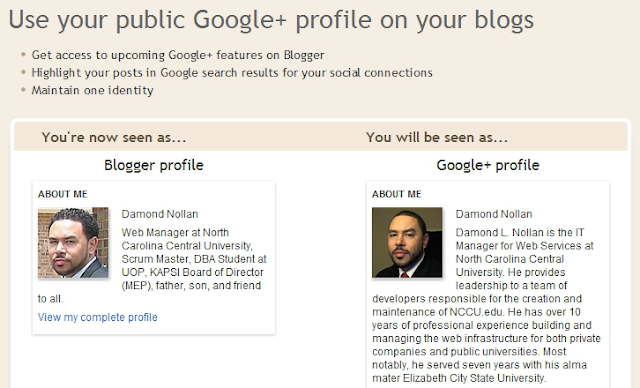 While preparing to write a blog post, I noticed that Blogger now allows users to replace the Blogger profile with a more up-to-date Google+ profile. Scroll down the page and check the box stating that you understand what is about to happen. 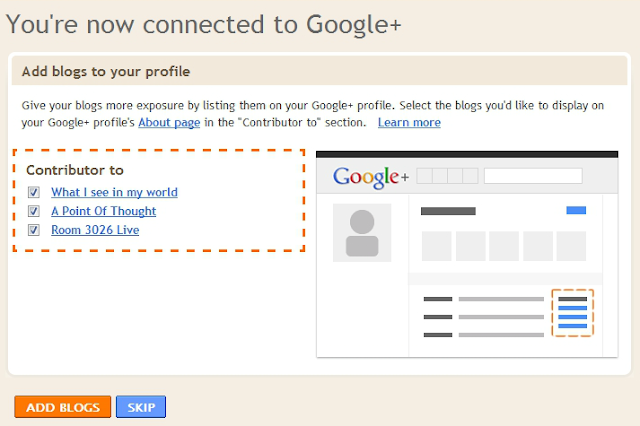 At this point, your Blogger profile should now be connected to Google+. Congratulations! If you contribute to multiple blogs, Blogger now asks if you want to show those blogs on your profile (see below). Select the blogs you want and click Add Blogs.